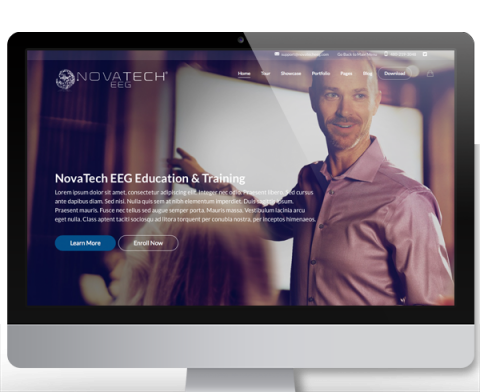 Nova Tech EEG offers a combination of scientific expertise and hands-on experience with multiple platforms of hardware and software to offer you a comprehensive training curriculum through workshops, private on-site trainings or longer distance consultation. Our services include a report service utilizing the Human Brain Indices reference database for continuous QEEG and ERP along with neurofeedback recommendations. Custom analysis and research design are available. In 2000 Nova Tech EEG was formed on a shoe string budget and countless hours of development. Leslie and Marco were working as students in the lab of Dr. Joel Lubar at the University of Tennessee. Arising from the intense need for better tools for analyzing the quantitative EEG, NTE softwares were born. Beginning in August of 2004 NTE has partnered with Mitsar Co. of St. Petersburg, Russia. NTE is the exclusive distributor of Mitsar acquisition hardware and software for North America, South America and Canada, although customers from other countries often choose NTE as their representative due to our reputation for stellar support. In 2005 NTE made its major software package freely available, hoping to serve the entire QEEG/MEG community. The aim of NTE is to support research on the human QEEG/MEG. This is accomplished by supporting non-commercial endeavors as well as research-oriented and ethical commercial endeavors. We are convinced that higher achievements in the field can spring out only from the combined work of creative and diverse minds, and that for no reason should industries providing instruments impose their approach, nor should they impose excessive pricing of their instruments. In 2007, in order to pursue other research opportunities, Marco Congedo, PhD resigned from the board of directors. Rebecca Sherlin was elected to fill his position after being in conference sales support and a contracted QEEG technician for 3 years. The Human Brain Institute normative database was updated and added to our product line in late 2008. In April of 2010, Nova Tech EEG had several company officers and positions realign to aggressively pursue the growing field. Leslie Sherlin was repositioned from President to the Chief Executive Officer to allow him the opportunity to additionally pursue other opportunities in the field. He remains involved in directing the vision and in providing instruction to the educational outlets and in delivering reporting services. Rebecca Sherlin moved from Vice President of Operations to President and Chief Operations Officer. She manages the day to day operations of the company and ensures customer satisfaction and quality in education, services and products. She additionally remains the primary QEEG technician for the Mobile QEEG Service. NTE rejects the interference of profit-oriented minds, which by nature may not carry healthy contributions to the knowledge of the field. 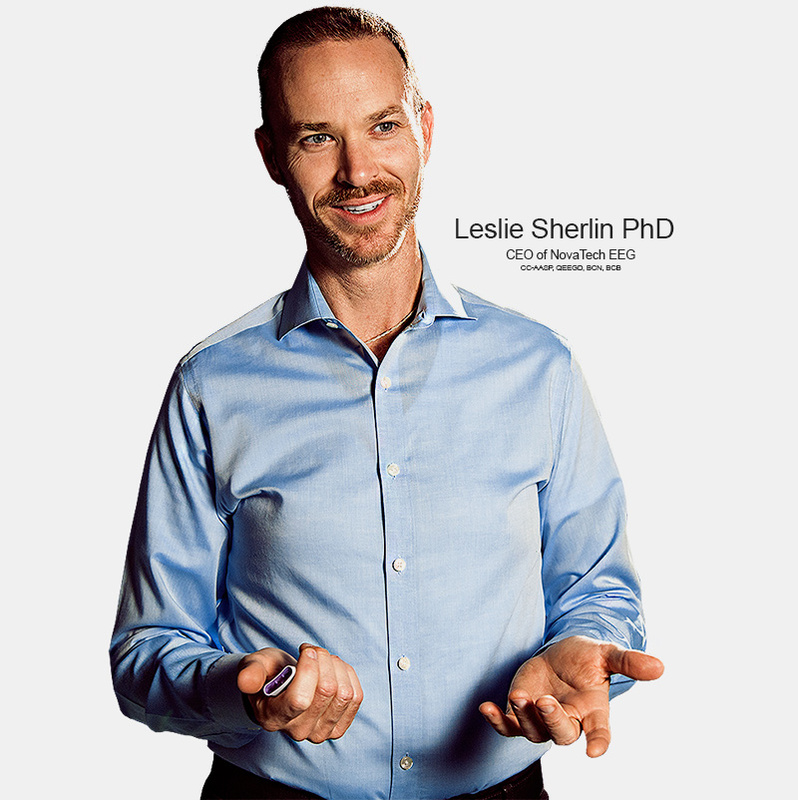 Leslie Sherlin, PhD completed his undergraduate degree and first years of graduate school from the University of Tennessee, Knoxville where he became interested and exposed to quantitative electroencephalography and psychophysiology regulation. For 5 years he was a research assistant working in the Brain Research and Neuropsychology laboratory as a student of Joel Lubar, PhD, a pioneer in neurofeedback. He has the degrees of BA in Psychology, MS in Clinical Psychology and PhD in Psychology. While still an undergraduate he was able to acquire training in Low Resolution Electromagnetic Tomography (LORETA), an imaging technique for localizing electrical activity of the brain, directly from the developer in Zurich, Switzerland. Following these experiences he co-founded the company Nova Tech EEG, Inc, a company that provides training, evaluation services and equipment/software for quantitative EEG analysis and imaging. Following the first years of primarily research in QEEG and LORETA, he then began practicing QEEG analysis and neurofeedback clinically and has been involved in client care since 2002 while continuing to pursue research projects in the field of QEEG and psychophysiology. Beginning in 2008 Dr. Sherlin focused his efforts in the domain of athlete and elite performance when he co-founded SenseLabs and operates as the Chief Science Officer. He specializes in researching and creating paradigms for high performance in elite individuals and developing tools for broader applications in healthy populations. To further this domain expertise, he completed his professional re-specialization in sport psychology (PhD) and completed a postdoctoral fellowship in sport psychology with Pinnacle Performance at D.I.S.C. Sport and Spine Center in Marina Del Rey, CA under the supervision of Michael Gervais, PhD. After being the president for ten years, Dr. Sherlin remains the Chief Executive Officer of Nova Tech EEG, Inc.. Additionally he is currently employed as the Chief Science Officer for SenseLabs. Dr. Sherlin has the academic appointments and is employed as adjunct associate professor in the department of mind-body medicine at Southwest College of Naturopathic Medicine; faculty in the department of psychology at the University of Phoenix main campus; adjunct faculty in the department of psychology at Northern Arizona University; and clinical faculty at Southwest Naturopathic Medical Center. Dr. Sherlin is listed in the United States Olympic Committee Sport Psychology and Mental Training Registry. He is a Certified Consultant by the Association for Applied Sport Psychology, certified at the Diplomat level in quantitative electroencephalography (QEEG) and is BCIA Board Certified both in Biofeedback and Neurofeedback. He has served on the board of directors for both the International Society for Neurofeedback and Research and the Biofeedback Certification International Alliance in a number of elected positions including the President. Nova Tech EEG offers two accredited courses by the QEEG Certification Board and the Biofeedback Certification International Alliance. Nova Tech EEG also offers a customizable option for a wide variety of Neurofeedback training. 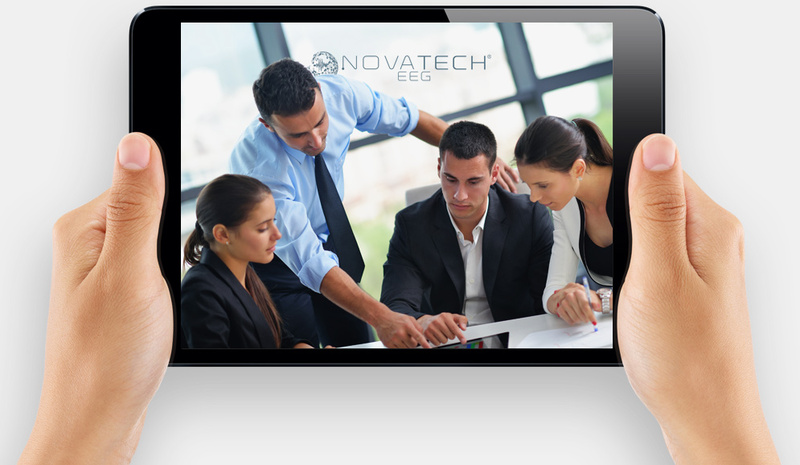 Due to the busy and complex schedules that our customers maintain, Nova Tech EEG online training classes will offer the material through high quality, downloadable recordings. Enroll online (by clicking the ENROLL ONLINE button) below to view pricing and get started on your online course registration. 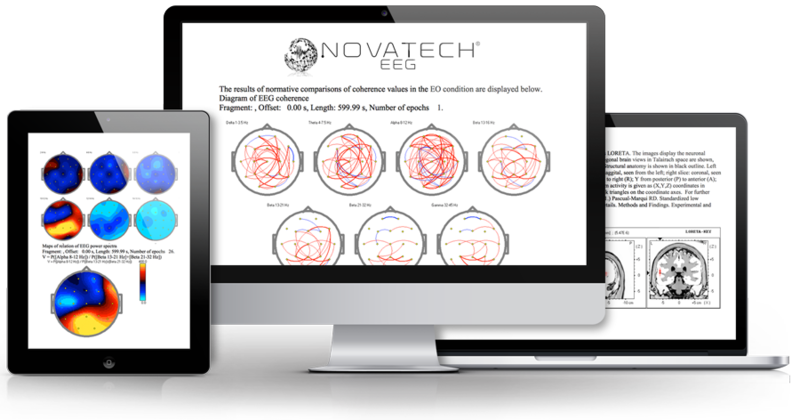 Nova Tech EEG offers customizable training for Neurofeedback, from software, modules, interpretation, and more depending on the specific educational areas needed. We have comprehensive training opportunities through online training, private on-site training or longer distance consultation via phone. For more details and training information give us a call at 480-219-3048 and we can work with you to facilitate your training needs. View Class Schedule and Enroll Online Today! On-site training can be arranged on a case by case basis. These on-site trainings are tailored to the topics and procedures of the site. This may include hardware and software setup, EEG recording procedures or application of QEEG and neurofeedback procedures with volunteer clients. Prices vary based on time, content and group size. Please contact us for more information based upon your goals. All on-site training and consultation appointments are provided by Leslie Sherlin, PhD. He is certified at the diplomate level in quantitative electroencephalography and is board certified in both Biofeedback and Neurofeedback by BCIA. Additionally he has expertise in a wide variety of software applications for EEG acquisition, QEEG analysis and bio or neurofeedback interventions. Dr. Sherlin is an approved BCIA mentor. Schedule an Appointment For On-Site Training. For customer service there are a number of options through the Leaping Brain website: http://platformpurple.com For instant help just click the “Help Center” button in the upper right of the main screen, where you’ll be able to get instant answers to 90% of your questions. If you don’t see the answer you’re looking for, click the “contact support” button. You can also go to www.help.leapingbrain.com and during U.S. business hours and evenings, you will usually get a reply within 15 – 30 minutes. Often, you’ll hear back from us nights, weekends and holidays! You can also email techsupport@leapingbrain.com if that’s more convenient. If you are contacting us outside normal business hours, we appreciate your patience, and pledge we will answer your question or resolve your problem as soon as possible We are relentless when it comes to providing great customer support! Digitally recorded QEEG data is visually inspected and artifact rejected by a trained electroencephalographer. The artifacted data is processed with WinEEG software which includes spectrograms and scalp topographies of magnitude, relative power, coherence, asymmetry and standardized Low Resolution Electromagnetic Tomography (sLORETA). These measures are compared to the Human Brain Institute normative database. The normative database includes healthy controls carefully screened for normalcy between the ages of 7 and 89 years old under the tasks of eyes closed, eyes open, reading, mathematics, listening and computerized continuous performance task. Interpretation and neurofeedback recommendations are based upon the clinical information presented along with the individual’s QEEG, quantitative analysis, sLORETA analysis and database comparisons. Recommendations are provided by Leslie Sherlin, PhD, who is certified at the diplomate level in quantitative electroencephalography and is board certified in both neurofeedback and biofeedback. What Educational Service Are You Interested In?